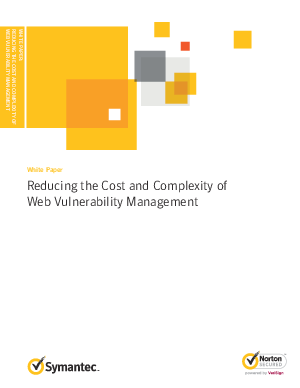 Symantec vulnerability assessments help to reduce the cost and complexity of vulnerability management with automated scans, actionable reports, and a cloud-based architecture that requires no software installation or maintenance. This solution is a good starting point for organizations that want to quickly assess the extent of their website vulnerabilities. Website vulnerability assessments are also ideal for organizations that already use a compliance vulnerability scanning solution such as those for PCI and need a complementary solution to cross-check the results of their scan for an added layer of security. When used in combination with your Symantec SSL Certificate and daily website malware scan, vulnerability assessments help you to secure your website and protect your customers.